We would be happy if the historical nightmare in the textbooks and among the scholars came to an end, but it didn’t! It turns out that the nightmare goes on as all those who caused it are in their places. PhD in History, associate professor at the department of social sciences of Baku Teacher Training and Retraining Institute Aydin Aslanov, speaking to me, gave such examples that caused a hiccup. “By revealing the shortcomings in the textbooks we would make the things better. But the textbooks are prepared in a closed procedure and it is not the first year that the “Catholic” church is mentioned in the textbooks as “Capitalic,” Aslanov gave the first example. Even more striking mistakes will be presented further. 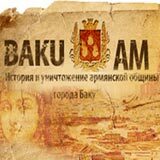 “In the 23rd year of independence, the history textbook, describing the genocide of the Azerbaijanis in Baku in 1918, says that the Armenians walked on the corpses (по трупам) [of the Azerbaijanis]. The Russian translation says: “walked on the pipes” (по трубам). That’s no good…,” Aslanov complained. “I have been working at school for 40 years and at the institute for 30 years, I was a member of the Council, but I was expelled from it,” Aslanov confessed. “The State Students Admission Commission has a council made up of secondary school teachers who gather together on a regular basis to discuss shortcomings in the textbooks. But the State Commission does not like it when someone from outside assesses the test questions. The history tests contain the following question: “Who could be a citizen of Ancient Greece?” This question was asked several times, at different entrance examinations. However, the question is wrong because there was no state with this name. There were ancient Greek states such as Sparta, Athens, Attica and Corinth whose citizens could be Greeks whose father and mother were born in those city-states, according to the historical texts. Our textbooks, however, repeat the mistake about the state called Ancient Greece,” Aslanov said. Mistakes in the textbooks are also linked with ongoing scientific debates between our academic historians. The 6th grade history textbook says that the ancient Azerbaijani states of Manna, Midia and Atropatene are Turkic ones. Obviously, the authors of this textbook are among those historians who claim that the Turkic peoples are autochthonous in the Caucasus. We will return to it later. Aslanov considers this provision in textbooks to be wrong as he rates himself among the scholars who think that the Turkic peoples have moved to the Caucasus from Altay. “We should always indicate in our textbooks that we are ancient autochthonous inhabitants of the Caucasus who later changed their language, adopted the Turkic language and became Muslim, giving up fire worship. We are not newcomers, we are locals. We should be proud that our forefather Moisey Kalankatuyski built the first ever Christian church in the East in the village of Kish, Sheki region3. But for some reason we avoid speaking about our church in the 1st century BC,” he added. Doctor of History, research officer at the National Academy of Sciences of Azerbaijan Rauf Alishir oglu Huseynov is also displeased with the weakness of the native historical thought. “No scientific book giving answers to all the questions of the country’s history has been published during the years of Azerbaijan’s independence. The published historical researches are conflicting, they are full of mistakes as the state does not take part in the publication of books on history, with the Soviet-time three-volume edition titled The History of Azerbaijan remaining the best scientific book on the history of our country,” he stated at the launch event of a new book on the history of the Caucasian Turkic peoples. “Many historical researches are conducted in the country, but they are separate. The Azerbaijani historians do not have a common scientific concept on national history. It tells on the low scientific and publication level of history textbooks for secondary schools of Azerbaijan. Teachers and students get confused meeting different interpretations and assessments of the same events,” he added. We “connect” to the virtual debate Doctor of History, employee of Institute of Oriental Studies of the National Academy of Sciences of Azerbaijan Nargiz Akhundova. She agreed with me when I asked her whether there are still “blank spots” in our history. “Of course, there are lots and lots of them. There are many problems in the ethnogenesis, there is a lack of specialists in ancient history knowing ancient languages. The new generation does not show any interest in ancient history as researches in that field require a huge mental work. There are many problems in the medieval history, and many conceptual problems arise. Based on my personal experience, I can say that the national concept of the history of Safavids4, about which we dispute a lot fundamentally differs from the international one, but no one listens to us when we claim that. There is a need to conduct world-level researches and find confirmations of the facts known to us to convince the foreign historians. “The new history of Azerbaijan, from the period when the Russian Empire entered the region, is studied rather well. There are relevant documents, everything is on the surface, and many interesting facts are revealed. There is a good awareness that there exists a lot of irrefutable documentary evidence that the Armenian region of the Russian Empire was formed on the land of the Azerbaijani Erivan Khanate, at the beginning of the previous century5. The period of the Azerbaijan Democratic Republic and the Soviet period are also studied well, but of course with a different attitude to that period”. Our ancient documents brought from abroad in recent years make easier the historians’ life. “Many sources have been returned from the Vatican, Turkey, Saint Petersburg and Moscow archives, but I think they are rather related to the late Middle Ages. There is a notion of importance of primary sources. There are very few primary sources on Azerbaijan’s history. Ancient Greek historian Strabo whose written records are cited a lot described another’s impressions and information. Strabo did not see the described things with his own eyes as he did not live here. The problem is that we get descriptions of events taking place in the Caucasus from ancient Greek, Arab and Turkish sources that the ancient authors heard from other people. We practically have no written records of ancient local inhabitants,” historian Akhundova said. Historical myths complicate the right assessment of historical documents, although myths are also history as any mythology is created on the basis of real events. “History is always a very opportunistic science. Writers can be self-willed, but the historians cannot. Literate, educated and responsible individuals write history, but any author writing history is close to the authorities and therefore he cannot but take into account the political preferences of his rulers. He writes what the authorities need, reflecting the policy of the authorities. There is always a problem of his personal safety and wellbeing, with the state interests always being higher than the scientific and historical ones. History is always politicized. Real historical truth is revealed 200-300 years later. Modern history is for the present a political science rather than science. “Take Babak. If you take any medieval Arab historical treatises of his contemporaries, you will find no good word about him, you will read only dirty and bad things because Babak was against the state of that period and Islam. We cannot get an objective picture of Babak’s history with these books,” Akhundova thinks. It turns out that the people who have little to do with science will not be able to sift the wheat from the chaff when it comes to history. Or did the historians get mixed up? To wait for 300 years to understand what happened yesterday? “In the 21st century we can objectively judge about the historical events of the 10th century as the outcome is known to us today. That is why a modern researcher is more objective in describing the historical events than an ancient man who observed them. The big mistake of the historians is that they assess the medieval events using modern yardsticks, although the Middle Ages had their own rules. Sometimes you can see the word “proletariat” in the texts of our young scholars about the Middle Ages. We have to explain to them that there was no proletariat in those ages,” she continued. The historical mess is impacted by the years of scientific fight between two historical schools – those of late academicians Igrar Aliyev and Ziya Bunyadov. Igrar Aliyev held the opinion that the Turkic peoples came here with a large Seljuk stream in the 11th century when the Turkicization of the region started. But Ziya Bunyadov thought that the Turkic peoples lived here from olden times as aboriginals. Hero of the USSR, academician Bunyadov was cautious and always preferred relying on historical documents6. Institute of History director Yagub Mammadov continues Bunyadov’s scientific policy and thinks that Azerbaijan is located on historical native Turkic land. The Turkic peoples always lived here and each incoming Turkic stream strengthened the local Turkic element, the scholar continued. Debates about the ethnogenesis of the Azerbaijanis are in general quite natural for scholars as no scientific debate has a final point. Physics did not finish with Newton’s discoveries and Einstein’s theory of relativity appeared to be thrown down recently. However, the Armenians, closely watching the scientific debates in Azerbaijan, cling to any incautious word for purely their own separatist goals. New inventions in technology are needed to confirm theory in practice. Even in history. A new book, Caucasus and Great Turkic Empires, authored by Akhundova and Alishir oglu, describes the latest methodology of determining the anthropological characteristics by means of the teeth of the discovered skeletons. “I am convinced that anthropologically citizens of Azerbaijan are Turkic-speaking Caucasians. The Caucasian and Caspian anthropological types join in us. The studies of the teeth of ancient Azerbaijanis prove that our ancestors are autochthonous. By the way, the same can be said about the Georgians, however, according to careful studies of the teeth discovered in the excavations on the territory of Armenia, the Armenians appeared to be alien,” Rauf Alishir oglu noted. What about old man Strabo whose name the Armenians keep discussing to substantiate that Nagorno-Karabakh and many other lands belong to them? Ancient Greek chronicler Strabo said that there were 26 tribes in the ancient state, Albania: the biggest tribe Udins, Gels, Legis (Lezghins), Shahdag group of tribes (Khinalig and others), etc. Aren’t they and we, who were born to them, Azerbaijanis? We are a Turkic-speaking people since the 11th century, when Seljuk Turks came here, but we are Caucasians. Different ethnicities live here in peace and friendship for thousands of years, having mixed in one people long ago. The fact that the Turkic peoples moved here does not mean that my roots are in Altay. Our roots are in the Caucasus. It is necessary to think so not only from political considerations but also for the sake of the historical truth. The Georgians consider themselves locals, while we search for foreign roots in our origin, Aslanov reacted. I reminded the historian-methodologist of the Armenians laying claim to the Azerbaijani lands. They explain their claims by saying that there are historical references that Karabakh belongs to the Armenians, although all elements in their national clothes and dances have a Balkan origin. “The Armenians themselves write that they had 26 Armenias throughout the Eurasian continent. Small, Eastern, Cilician, Caucasian, Remote, First, Second, Third…They have scattered their “armenias” about the whole map, proving nothing, but persistently keeping to that policy. “So far, there is no book titled History of Armenia, there is a book titled History of Armenians, and these are different notions. That is, the Armenians of course existed, but the existence of historical Armenian state remains in question. Even the Soviet Medical Encyclopedia contains an article about Armenian disease which also has a second name – Mediterranean. This indicates that the Armenians arrived in the Caucasus from the Mediterranean region. Yet the Azerbaijanis and Georgians are Caucasians,” Aydin Aslanov completed the scientific debate of the historians. 4Safavids – ruling dynasty in the Middle East in 1502—1736. The state of Safavids was established after the victory of Shah Ismail. After defeating the Aq Qoyunlu army, Ismail took the title of the Shah of Iran. The Safavids ruled from the 16th century to the beginning of the 18th century.